Little Mrs. Married: A little bit of miscellaneous! A little bit of miscellaneous! 1.) I spent this morning organizing my Pinterest boards. Just a little OCD with things like this! Have you noticed the Pinterest format has changed a bit? I like it! 2.) I worked a show last night at the Manship (I quit that job, but am filling in on a couple of nights where they really needed somebody.). Every time I work certain shows, I have a blog post going on in my head for days afterwards. I always wait, because I don't want people to know WHICH show (aka: audience) i am referring to. Don't know when it will be written, but the title will be, "Theater Etiquette". Only more clever. 3. I take these vitamins every night. One of those things they told me to take when i started going to the metabolic clinic. The other night, I nonchalantly asked Brad, "So, what's sublingual mean anyway?" His reply? "Under the tongue." Ohhhhh. I took a look at the directions. Let dissolve under the tongue for 30 seconds before chewing. So does this mean it's been ineffective seeing as how i have just been swallowing them all this time?! Ahhhh! 4.) Got some funny pictures of me & Brad on my iPhone the other night. We were trying to take a "normal" pic. Ha! I love it. It's blurry but it cracks me up! 5.) I'm stage managing a show! I was very hesitant to do this, even though I promised the director MONTHS ago (before I started my new job). I talked to him about how stressed out i was about 2 weeks ago (before it got better) & he asked me to just get him to auditions & we can figure out everything else as we go. So i will do auditions tomorrow & Monday...& hopefully will be able to stay on throughout the run. I definitely plan to run the show for performances in May. It's just April I'm worried about - night after night of rehearsals. Eesh! So I'll have some back-up, just in case. I am thankful for a director who wants me to be the SM so much that he's willing to work with my schedule/stress-level. The show we are doing is The 39 Steps, by Alfred Hitchcock! Four actors play a ton of parts. It's supposed to be full of suspense & humor. (Yes, I better get to reading that script! Ha!) I'm excited! 6.) My in-laws have been married 40 years TODAY! Happy ANNIVERSARY! I cannot tell you how much I love these two people. If anything happens to them, i will be devastated. They are kind, funny & easygoing. I always describe them as unpretentious. Can i tell you i love people like that? You can just relax & be you around them. Sit down, make yourself comfortable, stay awhile. It's like that. I love them! 7.) 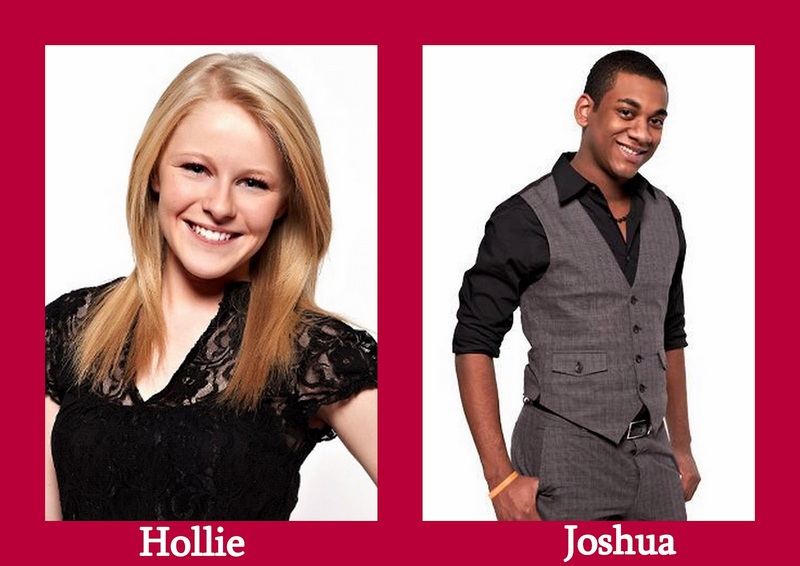 I am loving American Idol this season. My favorites are Hollie & Joshua, who both had amazing performances last week. But so did several others. They're all good, some are VERY good & the two below (in my opinion) are just fantastic. I love it. Glad Shannon went home this week. She's a sweetie, but definitely the weakest link. These two? Amazing! 8. 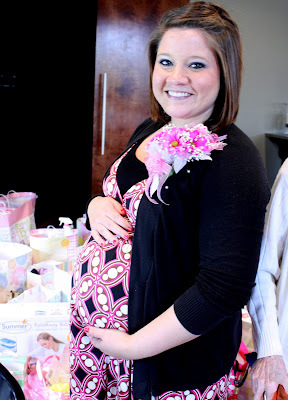 Just realized I didn't blog about my sweet friend Lauren's baby shower last week! I went & played photographer. It was fun. I shot in manual the whole time. Got some good shots (& some "okay" ones, but that's okay. She thinks they're great and that's all that matters!). Look at that cute belly! We had a good time. I brought her dinner Wednesday night, because her feet were so swollen it made me want to help out in some way! And as of Thursday, she's been put on bed rest! So pray for this little mama-to-be if you can! It will be hospital bed rest if her blood pressure doesn't go down! 9.) It's been HOT in South Louisiana. HOT!! The a/c is going out in my car & yesterday I spent an hour on the interstate going about 5-10 mph. Did i mention the sun was SHINING DOWN ON ME?! When i got to the Manship, my pants were literally stuck to me. And my shoes. GROSS. 10.) Been reading lately. I finished "I've Got Your Number" by Sophie Kinsella and LOVED IT. It was a birthday present to me from my friend Laura. Now I am reading Embracing your Freedom by Susie Larson. It's so good, y'all. Glad to finally get around to it! 11.) So the weekend is good. Today is nothing but a LAZY DAY & i am enjoying it! I did put on some laundry & do a load of dishes, AND cook this delicious meal for lunch! Other than that? Pinterest, Facebook, Gmail & catch up on a LOT of blog reading!